It is our pleasure to invite you to our panel on Teacher Development! It aims to push our boundaries as teachers, and to help us leave our comfort zone by adding some variety to our classrooms with some practical ideas to maximize student involvement. 10-minute slots are allocated for each speaker to make their speech, and the last 30 minutes will be allocated to the questions raised by the moderator and the audience. If you have any questions about these issues, you are more than welcome to pick our speakers’ brain! Bio: Işıl Boy Ergül works as a lecturer in the Department of Foreign Languages Education at Yıldız Technical University and as a teacher trainer for Pilgrims Teacher Training in the UK. She has conducted various ICT training courses across Turkey, Europe, and the Middle East since 2010. She holds a BA in TEFL from Istanbul University and an MA in Educational Technology and TESOL from the University of Manchester. Currently she is doing a PhD in Educational Technology at Bahçeşehir University. In 2015, she was selected as an Apple Distinguished Educator. She is also the coordinator of the EdTech Summit (ETZ) and ETZ Academy (www.etz.com.tr). 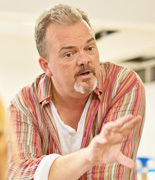 Bio: Dr. Tom Godfrey has worked as an EFL teacher, teacher trainer and theatre Director in a variety of countries. He is Director of International Training Institute (ITI) which is a centre for teacher training and development and an ELT consultancy. 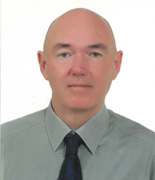 He currently runs teacher-training courses leading to the Cambridge TKT, CELTA, ICELT and DELTA qualifications. He is an ELT consultant specialising in Curriculum Design and Teacher Education. He completed his Ed.D at Exeter University, UK. He is the founder of Speech Bubbles Theatre and Director of the Speech Bubbles School of Performing Arts. Speech Bubbles perform musicals to raise money for charities that support education and children in Turkey. He is currently directing the play “The Curious Incident of the Dog in the Night-time”. 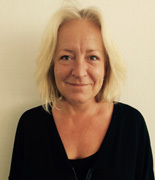 Bio: Emma Walton has worked in education in the UK and overseas for over twenty years. Emma's focus has been on raising standards for the student experience at both operational and strategic levels. She has worked as a teacher, lecturer, teacher-trainer, Director of Studies, School Director, Director of Academic Development and currently Director of Academic Affairs. She also opened a successful Language school in London. In all these roles Emma has been driven by passion for language and the way in which students learn and experience different cultures alongside a drive to motivate and inspire staff to always give their best. 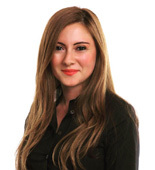 Emma studied Humanities at the University of Brighton and has the Cambridge CELTA, the Cambridge Diploma of English Language teaching (DELTA) and the Trinity College Diploma in English Teaching Management (DELTM).